If you work in design, media or web then chances are you’re already pretty familiar with the Adobe CS6 software suite. But with an increasingly competitive job market, we all need to continue to sharpen our skills as well as pick up new ones to keep up with the rapidly evolving digital economy. Whether you want to design a new logo, create killer docs or put together a cutting edge website, there’s an Adobe CS6 program for the job. The Adobe CS6 Training Bundle is perfect for sharpening up your design skills, offering a whopping 9 courses that provide close to 100 hours of online video tutorials. Quickly get your head around Adobe Photoshop CS6, take your web graphics to the next level in Adobe Illustrator CS6 or create amazing web pages in Adobe Dreamweaver CS6 for just $99.00 – for all 9 courses. 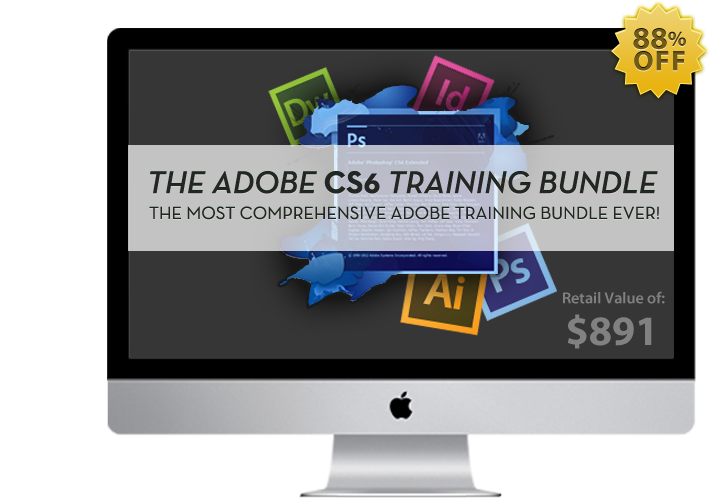 Normally priced at $891, the Adobe CS6 Training Bundle is available for a limited time for just $99.